June 21, 2015 New York Times | Fair Game: "Tech Companies Fly High on Fantasy Accounting"
Investors liked what they saw in PayPal’s second-quarter financial results, reported by the digital and mobile payments giant on July 26. Revenues grew to $3.14 billion in the quarter that ended in June, an increase of 18 percent over the same period last year. Total payment volume of $106 billion was up 23 percent, year over year. Even better, PayPal’s favored earnings-per-share measure — which it does not calculate in accordance with generally accepted accounting principles, or GAAP — came in at 46 cents per share, 3 cents more than Wall Street analysts had expected. The company has trained investors to focus on this number, rather than on the less pretty GAAP-compliant numbers most companies are judged by. And focus they did. Exceeding analysts’ estimates — “beating the number,” in Wall Street parlance — is crucial for any corporate leader interested in keeping his or her stock price aloft. Even the smallest earnings miss can send shares tumbling. Examining how a company meets or beats analysts’ estimates, therefore, can be illuminating. PayPal’s stock has been on a tear this year, up almost 50 percent since January. At a recent $59, its shares are trading at over 40 times next year’s earnings estimates. It is clearly an investor darling, providing all the more reason to dig into its numbers. 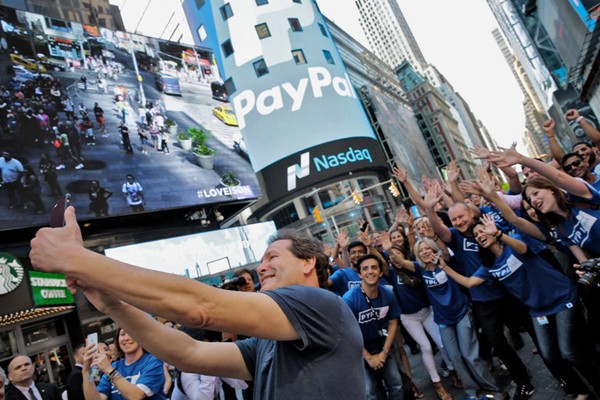 Naturally, many factors contributed to PayPal’s second-quarter earnings. But one element stands out: the amount the company dispensed to employees in the form of stock-based compensation. How could stock-based compensation — which is a company expense, after all — have helped PayPal’s performance in the quarter? Simple. 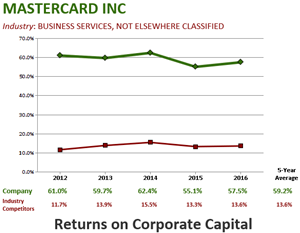 The company does not consider stock awards a cost when calculating its favored earnings measure. So when PayPal doles out more stock compensation than it has done historically, all else being equal, its chosen non-GAAP income growth looks better. Accounting rules have required companies to include stock-based compensation as a cost of doing business for years. 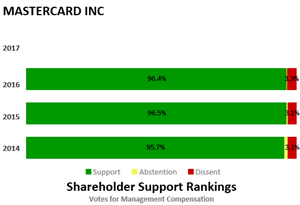 That’s as it should be: Stock awards have value, after all, or employees wouldn’t accept them as pay. And that value should be run through a company’s financial statements as an expense. Consider the practice at Facebook, a company PayPal identifies as a peer. In its most recent quarterly income statement, Facebook broke out the roughly $1 billion in costs associated with share-based compensation that it deducted from its $9.3 billion in revenues. Back in the 1990s, technology companies argued strenuously against having to run stock compensation costs through their profit-and-loss statements. Who can blame them for wanting to make an expense disappear? They lost that battle with the accounting rule makers. 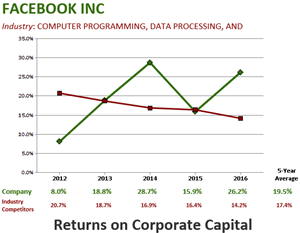 But then they took a new tack: Technology companies began providing alternative earnings calculations without such costs alongside results that were accounted for under GAAP, essentially offering two sets of numbers every quarter. The non-GAAP statements — called pro forma numbers or adjusted results — often exclude expenses like stock awards and acquisition costs. And the equity analysts who hold such sway on Wall Street seem to be fine with them. 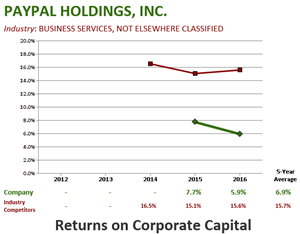 As long as companies also showed their results under generally accepted accounting rules, the Securities and Exchange Commission let them present their favored alternative accounting. Still, some technology leaders are dumping the practice. 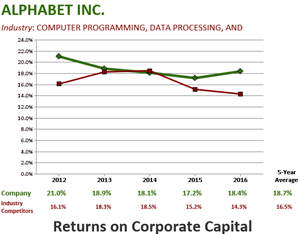 In addition to Facebook, Alphabet said this year that it would no longer present results that excluded the costs of stock-based compensation. 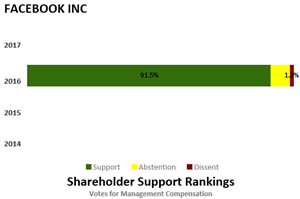 Dave Wehner, Facebook’s chief financial officer, told investors on a May conference call that the company would report results that include share-based compensation because it’s a true cost of running the business. Ruth Porat, chief financial officer of Alphabet, which is Google’s parent company, said the same thing on a conference call in January. Under generally accepted accounting principles, PayPal reported operating income of $430 million in the second quarter of 2017. That was up almost 16 percent from the $371 million it produced in the same period last year. But under PayPal’s alternative accounting, its non-GAAP operating income was $659 million in the June quarter, an increase of almost 25 percent from 2016. So what’s to account for the added $230 million in operating income under PayPal’s preferred calculation? Most of it — $192 million — was stock-based compensation PayPal dispensed to employees in the June quarter and added back to its results as calculated under GAAP. That was a big jump — 57 percent — from the $122 million PayPal handed out during the second quarter of 2016. And back in 2015, PayPal reported just $89 million in stock awards. But this isn’t accurate, according to the companies PayPal lists as peers in its proxy filing. At least four of those companies — Alphabet, Facebook, Mastercard and Visa — do not exclude stock-based compensation from their earnings calculations as PayPal does. Craig Maurer is a partner at Autonomous, an independent investment research firm in New York. He follows payments companies and rates PayPal’s stock an underperformer. In a telephone interview, Mr. Maurer was critical of how the company accounts for stock-based pay. He said that as a percentage of PayPal’s non-GAAP operating income, stock-based compensation has risen to 29 percent this year from 17 percent in 2015. In other words, the increase in stock-based compensation made a big contribution to PayPal’s results versus what analysts had been expecting. PayPal’s stock-based compensation practices have another noteworthy effect: They drive executive pay higher at the company. Here’s how. The company says it has three main metrics for calculating its managers’ performance pay each year. One of those measures, its proxy shows, is non-GAAP net income. So, as PayPal awards more and more stock to its executives and employees, non-GAAP net income shows better growth. And the greater that growth, the more incentive pay the company awards to its top executives. For PayPal insiders, at least, that’s one virtuous circle. A version of this article appears in print on August 6, 2017, on Page BU1 of the New York edition with the headline: Making PayPal’s Numbers Shine. 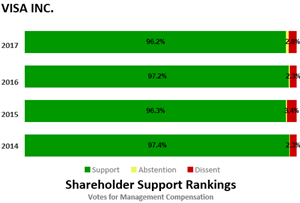 The following graphs of competitive corporate performance and of shareholder voting support for executive compensation are presented for companies reported in the article, in the order of their initial text reference. 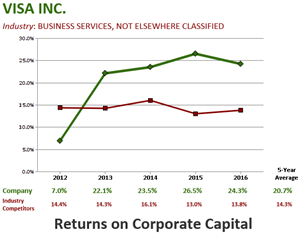 Returns on Corporate Capital™ Returns on Corporate Capital™ (ROCC) is based on published Methodology and Specifications for calculating net income plus interest expense and income taxes, divided by its prior year's ending balance of total assets less current liabilities other than current debt, according to each company's audited statements of GAAP-defined data as reported to the SEC, without adjustment. The ROCC of each company’s industry competitors is based on the same calculations of the aggregated assets and income for all SEC-reporting companies in the relevant industry other than the subject company. 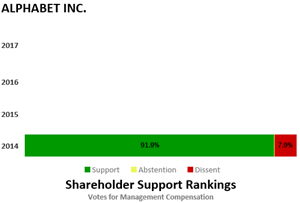 The analyses are produced by The Shareholder Forum using data provided by EDGAR Online from SEC records of approximately 8,000 reporting companies.